Nottingham Law School has commemorated its 50 year anniversary with the launch of a new Legal Advice Centre and teaching law firm officially opened by Attorney General, Dominic Grieve QC MP. Building on Nottingham Law School's existing law clinic, which first opened in 2006, the University's investment in the new premises, at a time when legal aid is being cut, will allow the Law School greater flexibility to grow the number of cases it takes on from the community; which has gone from around 60 cases in 2012-2013 to 120 in 2013-2014 and is projected to rise to in excess of 180 in 2014-15. All of Nottingham Law School's pro bono activity will now come under the Legal Advice Centre, including student work on cases, local community outreach projects and the Innocence Project1. The Centre will also facilitate increased overseas placements and internships and international pro bono opportunities and will develop new international links, particularly in countries with developing economies. 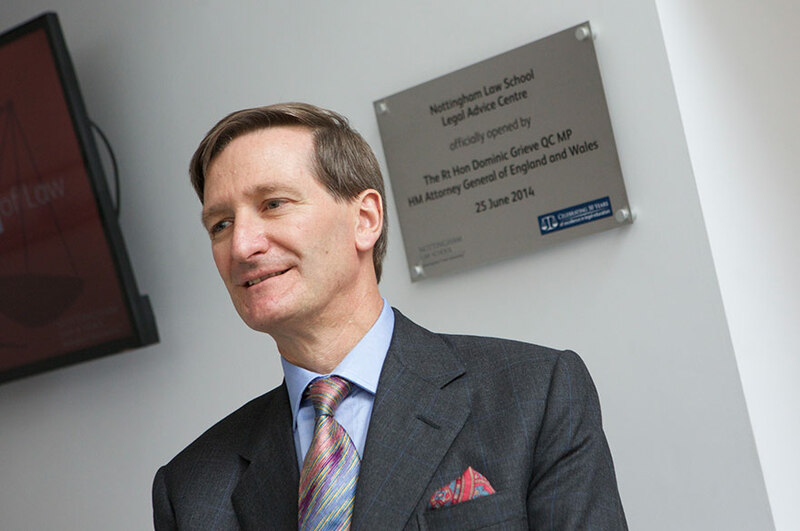 The Attorney General, Dominic Grieve, QC MP, opened the Centre at an event attended by Nottingham Law School students, staff and alumni, as well as VIP guests. Nottingham Trent University Vice-Chancellor, Professor Neil Gorman, also attended as one of his last engagements before retiring. The importance of pro bono work should never go unnoticed. The Attorney General said: "I'd like to congratulate the hardworking students who are combining their pro bono work with their academic or postgraduate studies. The importance of pro bono work should never go unnoticed, and I hope that through this hard work the students continue one of the finest traditions of the legal profession." Nick Johnson, pro bono director at Nottingham Law School, said: "This Legal Advice Centre seeks to provide outstanding educational opportunities for our students to help them become fit and ethical individuals and excel in their chosen career, whether that be in a legal or a non-legal profession. It will also provide access to justice and fulfil an otherwise unmet legal need among individuals and communities." Since its first students graduated in 1964, Nottingham Law School has grown to be one of the UK's leading university providers of academic and professional legal education. Its history includes a number of pioneering firsts in legal education, including the launch of the first Law Sandwich degree in the UK in 1968; introduction of the first Graduate Diploma in Law which then became national standard in 1993; spearheading the integration of mooting into the curriculum; and the first award of an LLM in Advocacy Skills in the UK. 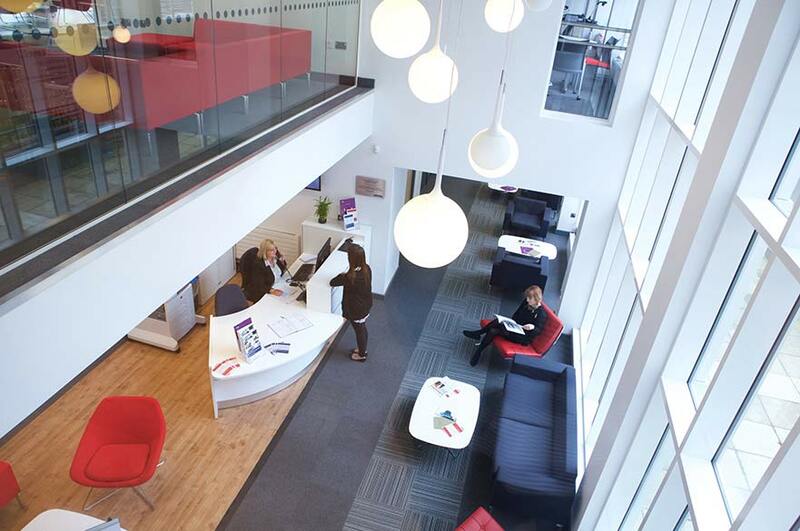 The Law School now also has specialist research centres based around its expertise in Legal Education, Business and Insolvency Law and Conflict Rights and Justice. Two further centres are soon to be launched, one in Advocacy - the first of its kind in the UK - and one in Mediation. Dean of Nottingham Law School, Professor Andrea Nollent, said: "This year we celebrate 50 years of innovation in teaching and learning. We have an extensive record of delivering transformational courses and will continue to grow our reputation as a centre of excellence in legal education, both nationally and internationally." 1 Innocence Network UK's overall aim is to improve the criminal justice system by overturning convictions given to factually innocent people, to learn lessons from such wrongful convictions and to effect reforms to prevent such wrongful convictions from occurring in the future.